More of Charlie and water. He's got the dock, the gas pump, and the lake. 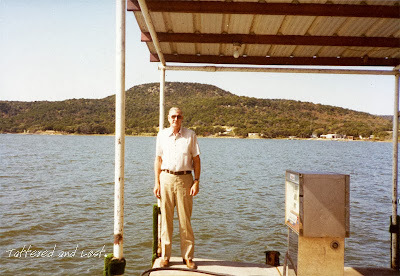 All he needs is a boat to go out onto Lake O' Pines in Marion County, Texas in 1982. 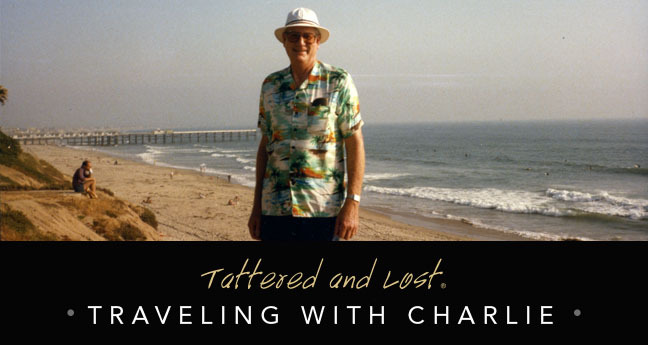 I don't think Charlie would do well in a dingy or rowboat. He looks more like a fella who should be wearing a captain's cap and sitting on the deck of a cabin cruiser. Not a cabin cruiser but a big pontoon boat. And not a captain's cap but those floppy sailor hats like Gilligan's. And with a big string of little fish. Perch maybe.